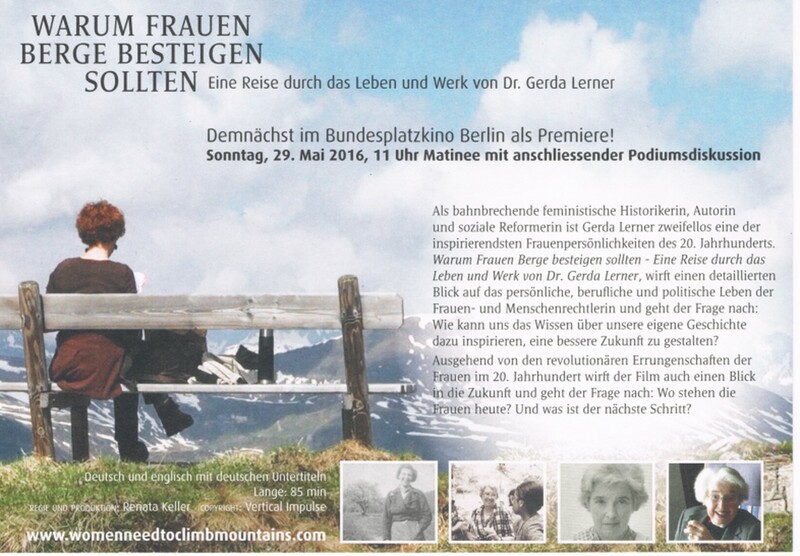 Nach der erfolgreichen Premiere in Berlin und mehren – trotz bestem Wetter – gut gefüllten Kinovorführungen findet nun auch die Premiere des Dokumentarfilms „Why Women Need To Climb Mountains“ über Leben und Werk der Historikerin und politischen Aktivistin Dr. Gerda Lerner in London statt. Learn more about this by watching these videos produced by Emily Best (Seed&Spark). You will find lots of practical tips for your film no matter if you do a crowdfunding campaign or not. It´s important to think about this already at an early stage of script development. This will help you to shape your project. BuchScout freut sich die Premiere des Dokumentarfilms „Warum Frauen Berge besteigen sollten“ – Eine Reise durch das Leben und Werk von Dr. Gerda Lerner von Renata Keller anzukündigen. Only enter your project into the race when the material has taken concrete shape and you’ve attached a number of partners (internationally renowned creatives, co-producers or distributors) to your project. Formal letters-of-intent from your partners will strengthen your application. Rather than gloss over any weakness, do identify problems and articulate concrete suggestions for solutions. Be clear about the direction you wish to take your project. For example, if your author has been unable to deliver a convincing exposé, treatment or first draft script, then look for a strong partner who will significantly improve the quality of the project. Identify and name the script consultant or dialogue writer you’ve attracted to the project and add their letter-of-intent and filmography. Explain clearly why you’ve chosen this particular person to join the creative team. We notice time and again that the proposed project phases do not match proposed costs in the requested funds calculations. A likely reason for this is several people, such as production manager and producer, will have contributed to the submission. It is therefore important that the whole application is carefully proofread for consistency and coherence. Check whether all proposed tasks have been sufficiently considered in the costs. Include a time plan in your submission. You should allow sufficient time for each phase of development. Take care to make this time plan realistic, such that everyone involved in the development of your project is able to stick to it and deliver. You should reveal and elaborate on who the specific target group for your movie is. Explain which measures will be taken to reach this group. Consider who could be an attractive partner when it comes to marketing your film. Examples would be interest groups or forums. „BuchScout – Agency For Film Adaptations“ is headquartered in Berlin. It specializes in screen adaptations of novels and in the development of feature films for the national and international market. 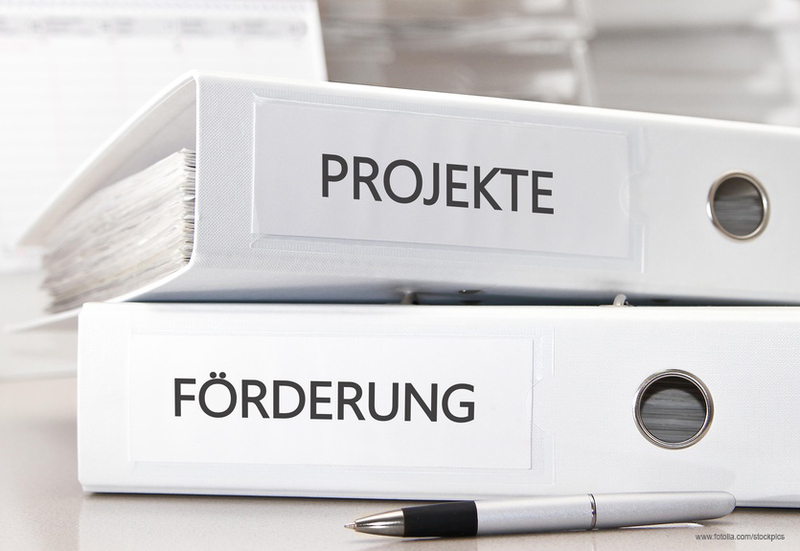 Its tasks include searching for novels, analysis of adaptation potential, negotiation of film rights and contracts, film script creation and analysis, editing, support, and development of presentations for media outlets, distributors and funders in German, English and French. 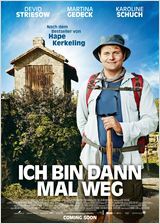 Most recently BuchScout‘s Suzanne Pradel has worked on the feature film „Galloping Mind“ by the Belgian director Wim Vandekeybus (first cinema release: September 2015 in Belgium) and on the adaptation of Hape Kerkeling’s German best-seller „Ich Bin Dann Mal Weg“ („I’Am Off“. Cinema release: December 2015, German box office hit).